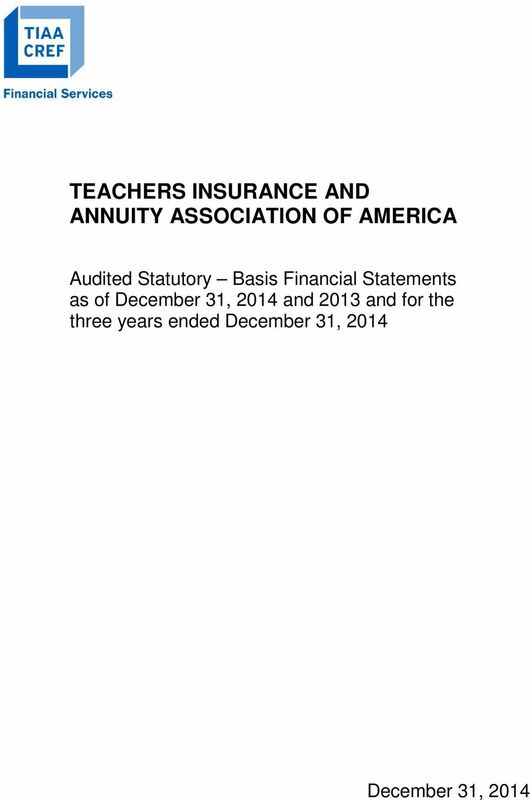 Download "TEACHERS INSURANCE AND ANNUITY ASSOCIATION OF AMERICA"
6 of internal control over financial reporting involves obtaining an understanding of internal control over financial reporting, assessing the risk that a material weakness exists, and testing and evaluating the design and operating effectiveness of internal control over financial reporting based on the assessed risk, and performing such other procedures as we considered necessary in the circumstances. 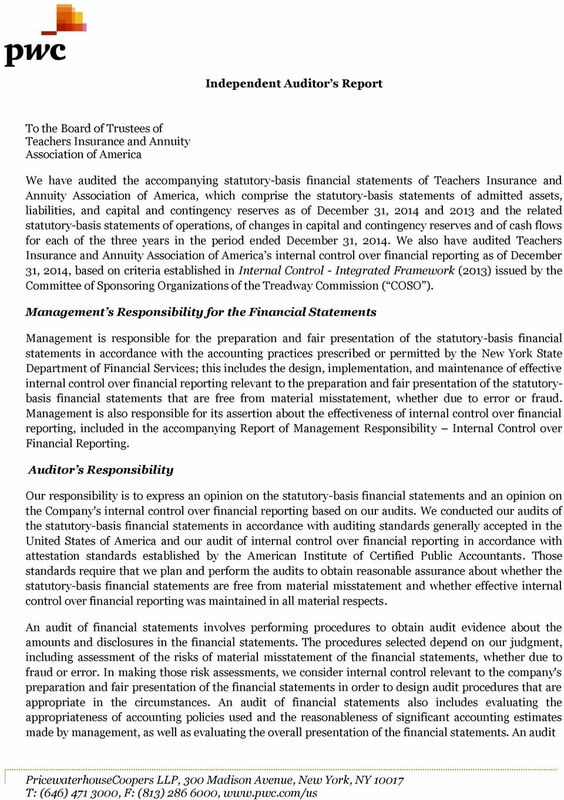 We believe that the audit evidence we obtained is sufficient and appropriate to provide a basis for our opinions. 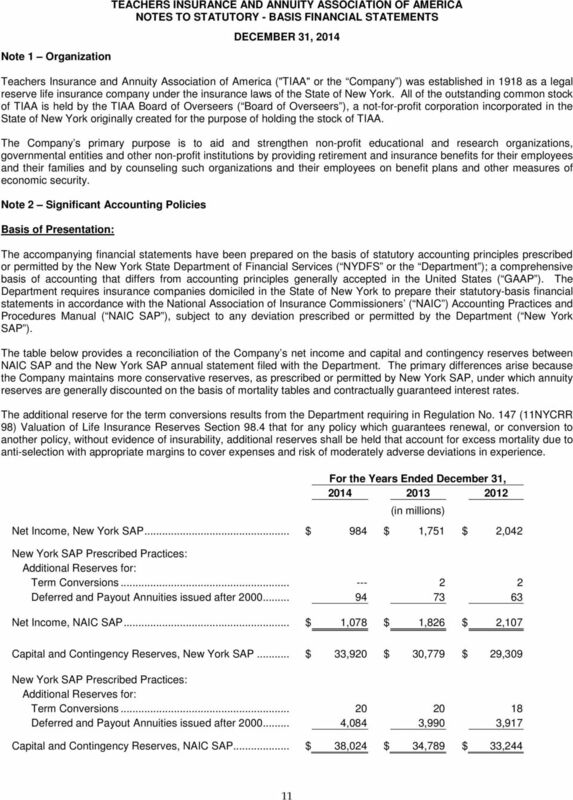 Definitions and Inherent Limitations of Internal Control Over Financial Reporting A company s internal control over financial reporting is a process effected by those charged with governance, management, and other personnel, designed to provide reasonable assurance regarding the preparation of reliable statutory-basis financial statements in accordance with accounting practices prescribed or permitted by the New York State Department of Financial Services. 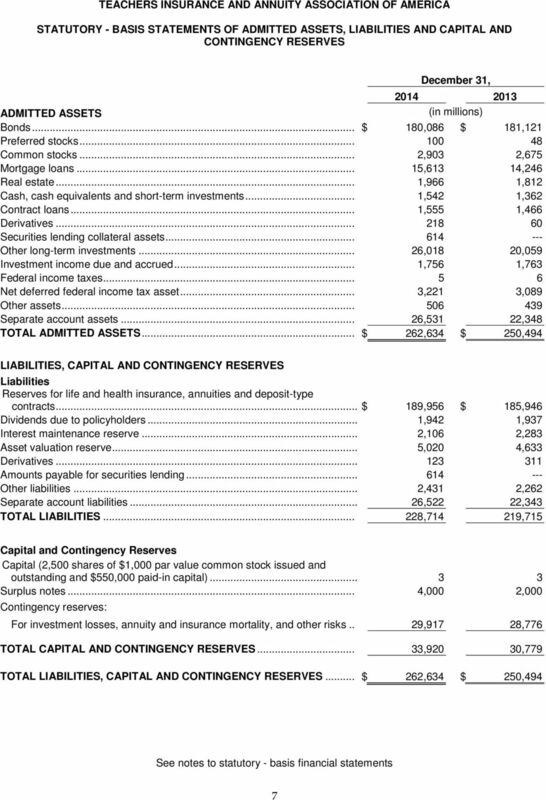 A company s internal control over financial reporting includes those policies and procedures that (i) pertain to the maintenance of records that, in reasonable detail, accurately and fairly reflect the transactions and dispositions of the assets of the company; (ii) provide reasonable assurance that transactions are recorded as necessary to permit preparation of statutory-basis financial statements in accordance with accounting practices prescribed or permitted by the New York State Department of Financial Services, and that receipts and expenditures of the company are being made only in accordance with authorizations of management and those charged with governance; and (iii) provide reasonable assurance regarding prevention or timely detection and correction of unauthorized acquisition, use, or disposition of the company s assets that could have a material effect on the statutory-basis financial statements. 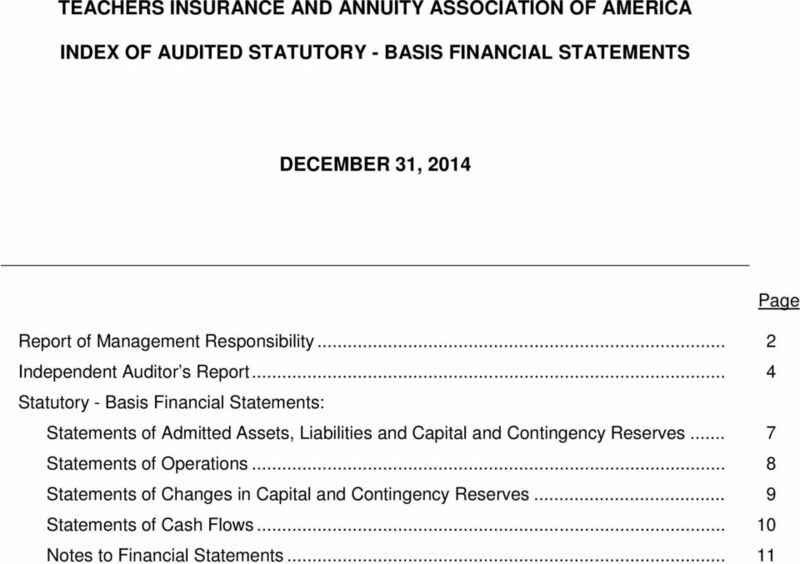 Because of its inherent limitations, internal control over financial reporting may not prevent, or detect and correct misstatements. 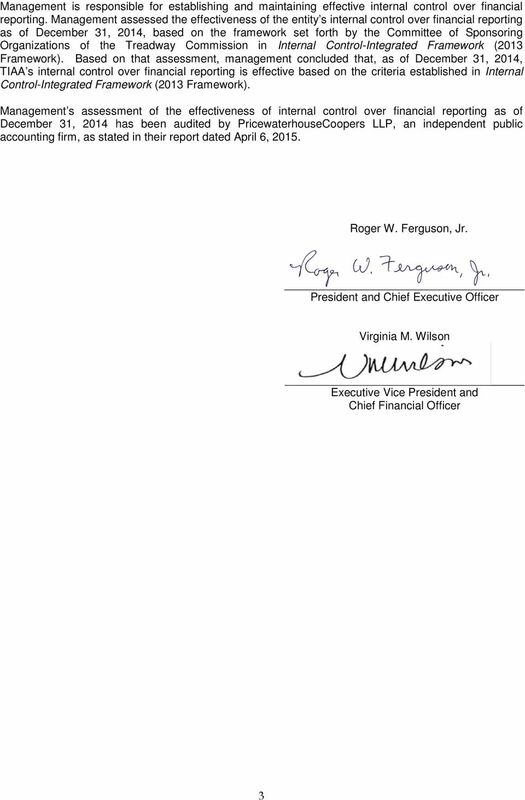 Also, projections of any evaluation of effectiveness to future periods are subject to the risk that controls may become inadequate because of changes in conditions, or that the degree of compliance with the policies or procedures may deteriorate. 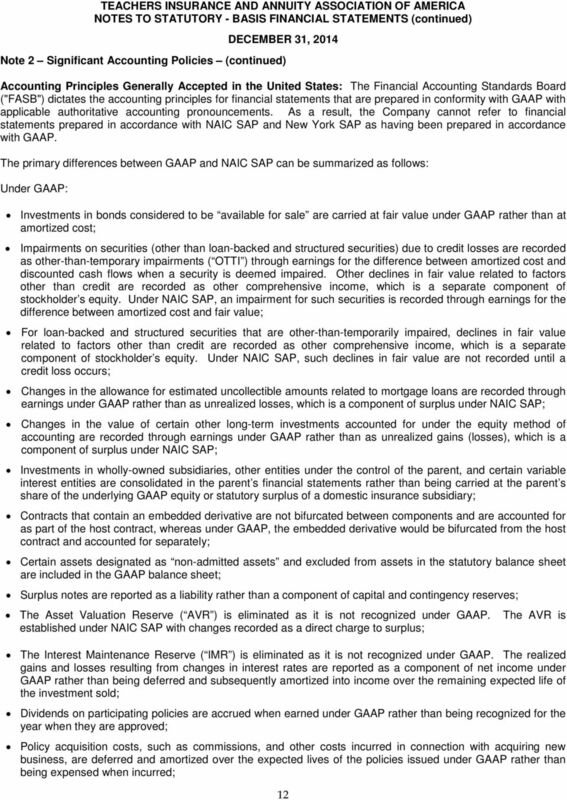 Basis for Adverse Opinion on U.S. Generally Accepted Accounting Principles As described in Note 2 to the statutory-basis financial statements, the statutory-basis financial statements are prepared by the Company on the basis of the accounting practices prescribed or permitted by the New York State Department of Financial Services, which is a basis of accounting other than accounting principles generally accepted in the United States of America. 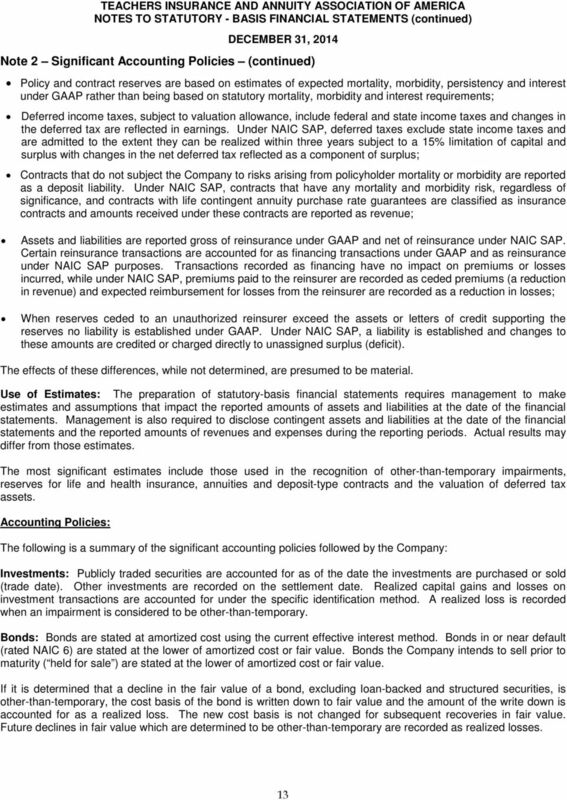 The effects on the statutory-basis financial statements of the variances between the statutory basis of accounting described in Note 2 and accounting principles generally accepted in the United States of America, although not reasonably determinable, are presumed to be material. 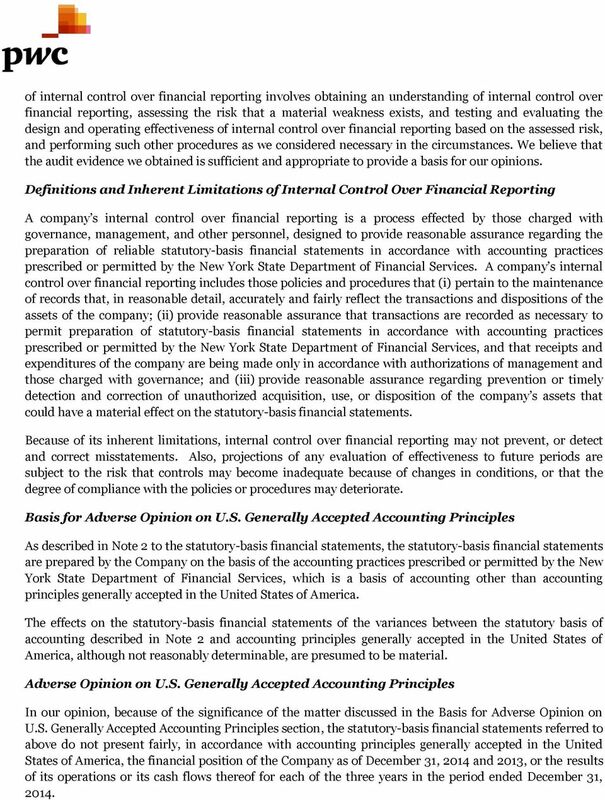 Adverse Opinion on U.S. Generally Accepted Accounting Principles In our opinion, because of the significance of the matter discussed in the Basis for Adverse Opinion on U.S. Generally Accepted Accounting Principles section, the statutory-basis financial statements referred to above do not present fairly, in accordance with accounting principles generally accepted in the United States of America, the financial position of the Company as of December 31, 2014 and 2013, or the results of its operations or its cash flows thereof for each of the three years in the period ended December 31, 2014. 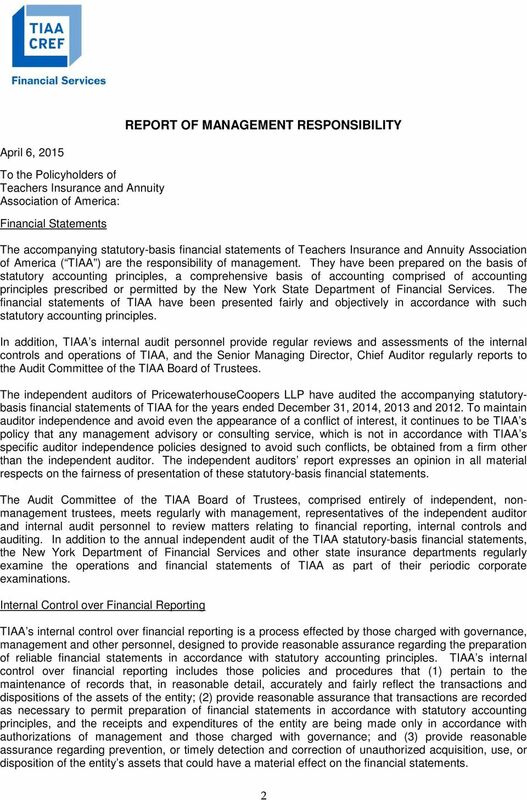 Statutory Financial Statements and Report of Independent Certified Public Accountants. 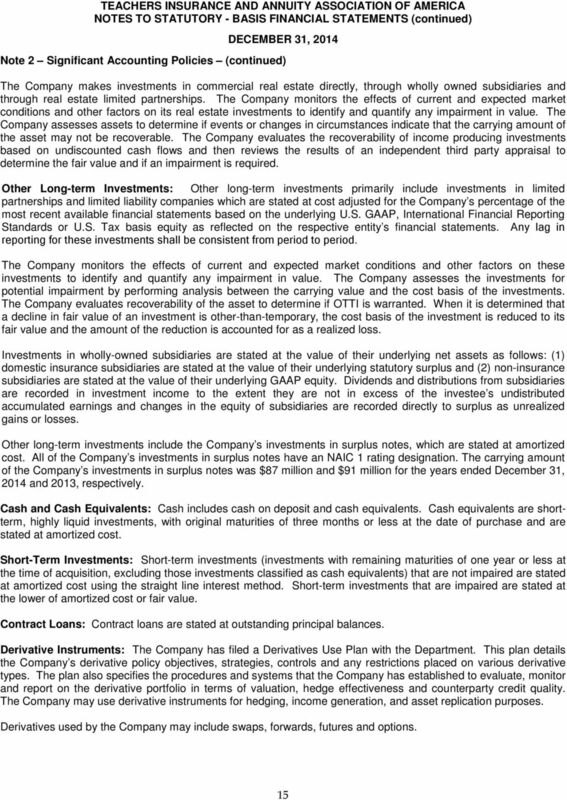 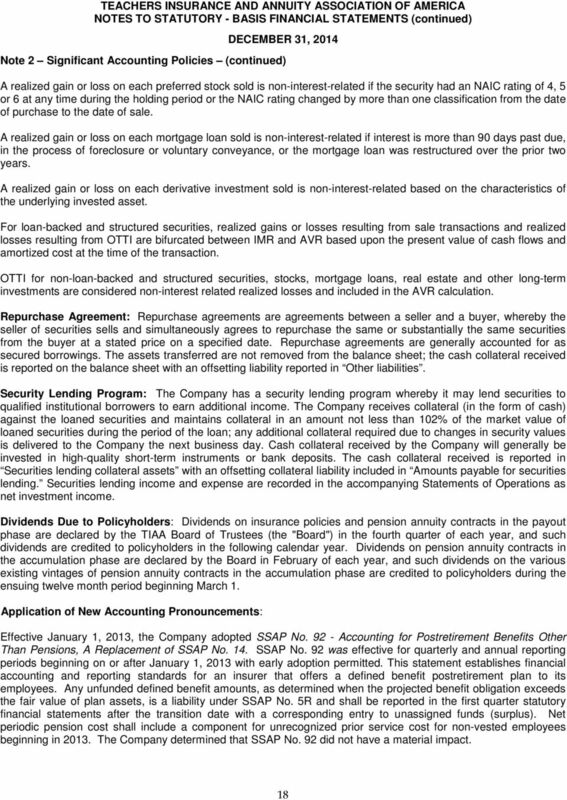 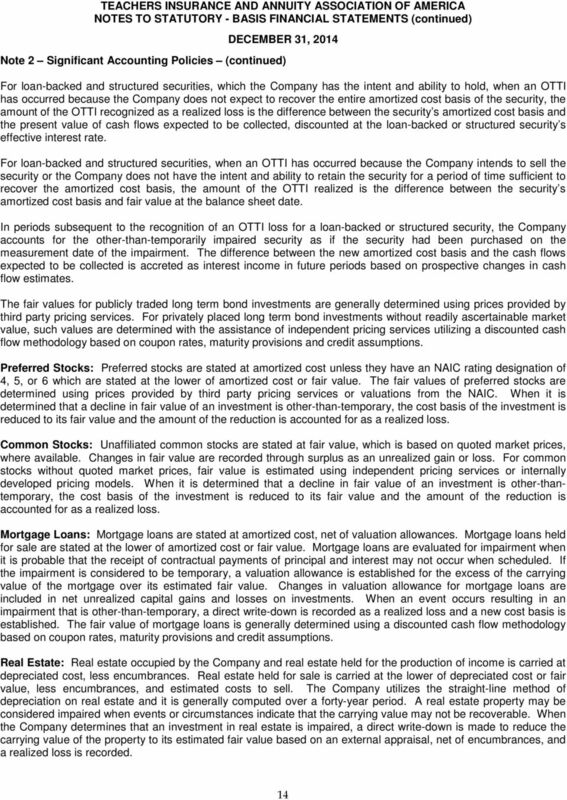 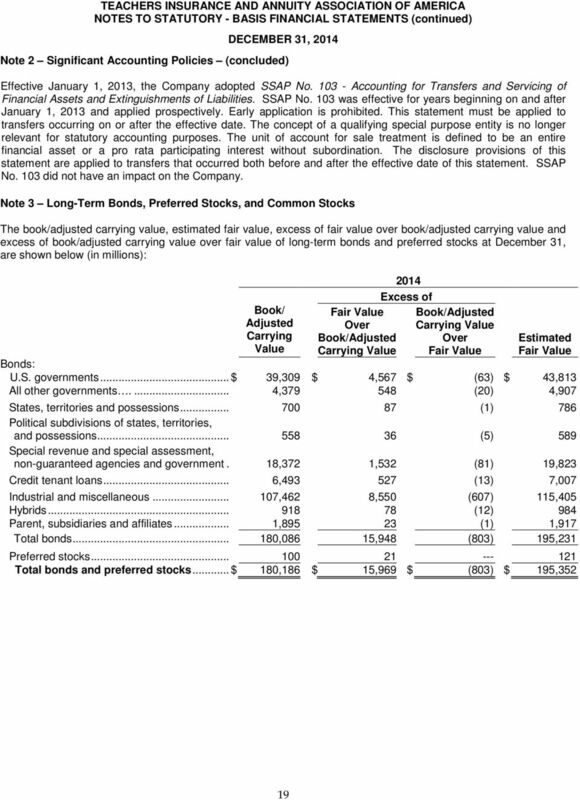 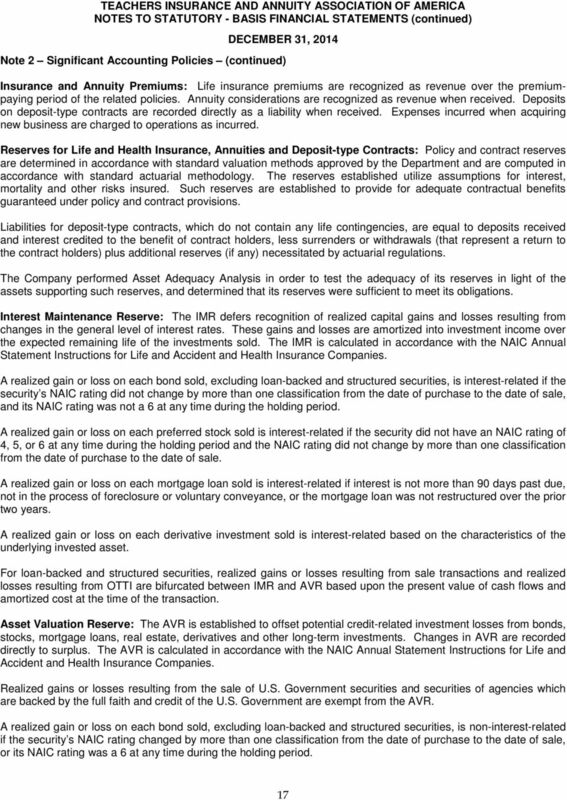 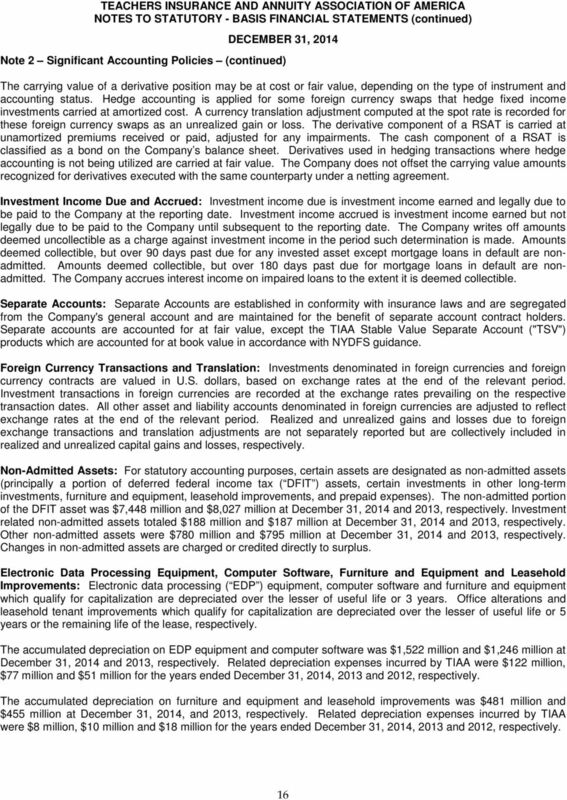 Massachusetts Catholic Self-Insurance Group, Inc.
ASSET VALUATION RESERVE. 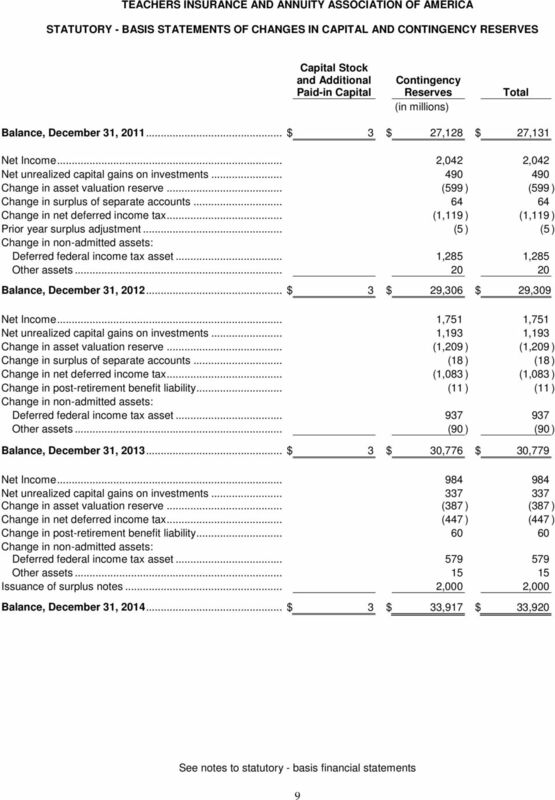 Enter amounts from Line 16 of the prior year s Reserve Calculation. 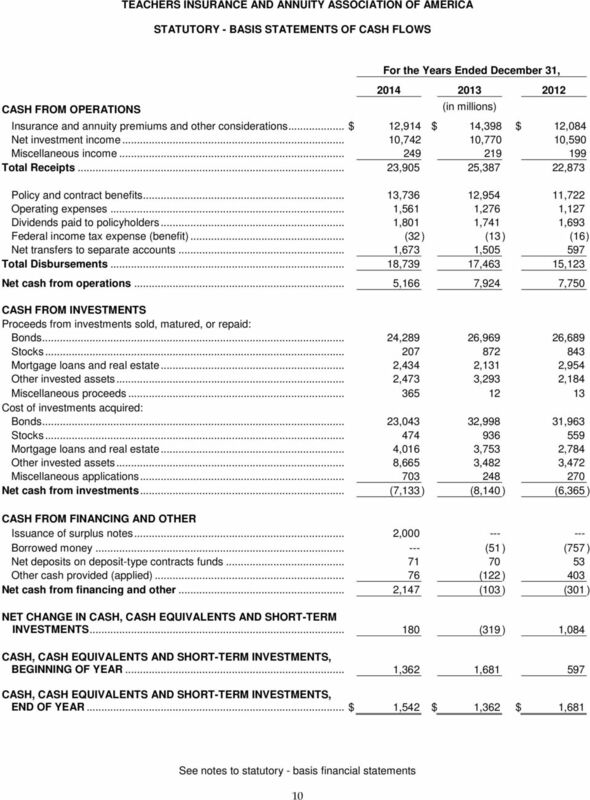 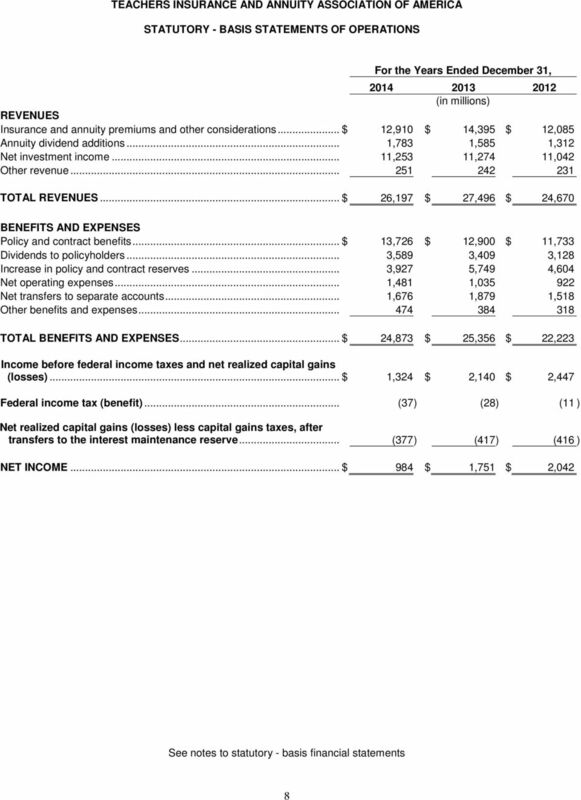 Financial Supplement Fourth Quarter 2005 This report should be read in conjunction with AIG's Annual Report on Form 10-K for the year ended December 31, 2005 filed with the Securities and Exchange Commission.